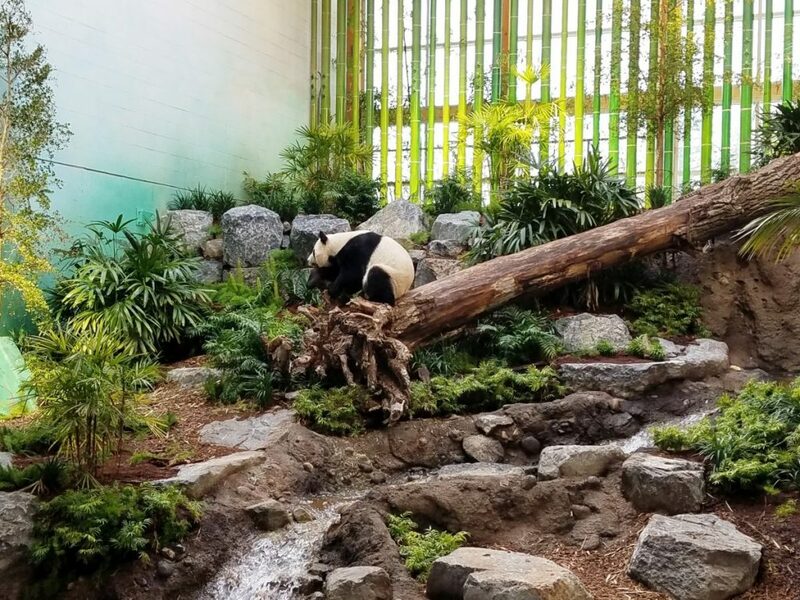 The new $14,000,000 CDN Panda Passage exhibit at the Calgary Zoo opened this spring to tremendous crowds. The exhibit replaced the former elephant building, which was transformed into a lush forest environment. The building roof was retrofitted to allow for numerous skylights. This enhancement dramatically improved sunlight for the natural plants that embellish the indoor exhibit space. Natural and simulated rockwork was used to create elevation change while ponds and babbling brooks provide an interesting habitat and a visually appealing space. The large indoor and outdoor exhibit spaces allow for plenty of room for the new residents to roam and play. Hot rocks and cold rocks were installed to provide added comfort throughout the year. Giant pandas Er Shun, Da Mao, along with cubs Jia Panpan and Jia Yueyue, are enjoying their new heavily-landscaped bamboo forest home. An Asian-inspired theme entry portal, interpretive area, and gift store complete the exhibit experience. “I have developed a lot of exhibits over the years, but working with Pandas is always an incredible experience”, states Alan Bentfield, COST’s twenty-eight year project manager. COST’s scope included shop drawings, structural engineering, scale model, and site construction for the faux rockwork, ponds, streams, and the required water proofing. The project team included general contractor, PCL Construction, exhibit designer Jones and Jones, architect Zeidler BKDI, and COST of Wisconsin, Inc., exhibit fabricator.